As the first and only full continuum IB World School in mainland China, authorized to offer the International Baccalaureate Primary Years Programme, Middle Years Programme, Diploma Programme, and the Career-related Programme, an education at WISS is truly one of a kind. WISS is dedicated to the IB mission to create a better world through education and our diverse and compassionate community provides the ideal environment for students to explore their passions, develop holistically, and to succeed. We know that your child’s education is an investment in their future and we look forward to being your partner in this investment. WISS also offers a variety of scholarship opportunities for its students. Download the 2018-2019 WISS Tuition & Fees Policy or the 2019-2020 WISS Tuition & Fees Policy for more detailed information. Corporate Rates WISS is pleased to cooperate with area businesses by offering corporate rates when 5 or more students with parents from the same company attend WISS. Kindly contact the Admissions Office for more information. Application Fee The application fee of 2,500 RMB is non-refundable and payable when the student’s application is completed and submitted to the school. The fee is not applicable to other school fees and is valid for up to one academic year beyond the submitted application. No application will be reviewed until the fee is paid in full. Enrollment Deposit A non-refundable enrollment deposit of 16,000 RMB is due within 5 working days of an offer of acceptance or by April 8th for all returning families. This deposit secures a seat until the June 1st tuition payment deadline and will be credited towards tuition fees due, applied to the second semester or annual fee. Once the due date has passed, a seat may be offered to new applicants. Capital Fee The capital fee of 20,000 RMB is a one-time mandatory fee that is used to support investments in school facilities and related costs, including new construction or renovation projects, major repairs, and major maintenance costs for school facilities. This fee applies to new entrants only, and is due in full within 5 working days of an offer of acceptance. Tuition fees may be paid by term or annually. The form “Payment and Billing Information” (part of the application forms) will be passed on to the Finance Office for invoicing. Even when the fees are paid by a company or other organization, parents/guardians have the ultimate responsibility to ensure that all fees have been paid in a timely manner. To secure a seat for the new school year a non-refundable Enrollment Deposit of 16,000RMB for returning students is due before April 8th. For newly entering students, this deposit is due within 5 working days of an offer of acceptance being made. Tuition invoices are payable within 10 working days of receipt of the invoice. The Enrollment Deposit will be credited towards Tuition Fees due, applied and settled at the last installment payment (if paying by installment). The school reserves the right to deny admission of the student to the facilities of the school, including classes, if payments due are not made by stipulated dates. Students whose accounts are in arrears will not participate in school, and progress reports and transcripts will not be released until payment is received. A withdrawal of a student is confirmed upon receipt of a completed and signed Withdrawal Notice Form (available at the Admissions Office). Advanced written notice of 30 days is required for the processing of withdrawals and refunds. If a Withdrawal Notice Form is received after the Enrollment Deposit is paid but before any other tuition payments are made, the Enrollment Deposit is forfeited as it is non-refundable. If a Withdrawal Notice Form is received before August 1, 100% of the tuition fees paid to date will be refunded, less the non-refundable Enrollment Deposit. In the case of annual tuition paid in one payment, if a Withdrawal Notice Form is received after August 1, but before the first day of the 1st Semester, 75% of the Semester 1 tuition fees will be refunded and 100% of the Semester 2. In the case of annual tuition paid in two payments, if a Withdrawal Notice Form is received after August 1, but before the first day of the 1st Semester, 75% of the Semester 1 the tuition fees paid to date will be refunded. If a Withdrawal Notice Form is received before December 1, 100% of the Semester 2 fees will be refunded, less the non-refundable Enrollment Deposit. If a Withdrawal Notice Form is received after December 1, but before the first day of the 2nd Semester, 75% of the Semester 2 the tuition fees paid to date will be refunded. In the case of flexible payment agreements, no refunds will be given. For further clarity, if a student is not officially withdrawn using the Withdrawal Notice Form prior to the first day of a semester, there will be no refund of that semester’s tuition fees. Capital Fees are refunded in full only if the student does not attend school and written notification by Withdrawal Notice Form is received before the first day the student is scheduled to attend school. Attendance by the student, or failure to provide the Withdrawal Notice Form, will forfeit any refund of this fee. The school bus fee will be refunded as of 30 days after the Withdrawal Notice Form has been received. If the Withdrawal Notice Form is sent to the school Admissions or Finance Office during the school holidays, the school will consider the notice to be received the first day after the holidays. Please contact our Finance Manager, Mr. Fred Ding, for more information. Certificates of study or official or additional reports (3 maximum, more copies against additional fee) will be only issued after the receipt of the Withdrawal Notice Form and can be requested through the Admissions Office. A late payment charge of one point five per cent (1.5%) per month, compounded monthly, will be charged on all school fees that are overdue. With joining the school the parents agree to pay, to the extent permitted by law, the school’s expenses of enforcement and collection of the tuition fees and related expenses, including attorney’s fees and costs. There is no reduction in the annual tuition for students admitted during the first six weeks of the school year. Those admitted after the first six weeks of the school year will have the tuition adjusted on a pro-rated basis. A full school year consists of 180 student days. 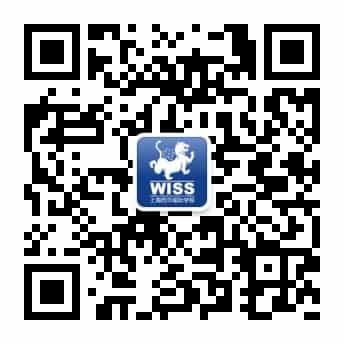 WISS provides transportation for students to and from school, servicing most areas of Shanghai. After-school transportation to drop off points is provided for students participating in after-school activities. The annual school bus fee is 15,500 RMB. An additional fee is charged for locations outside the normal pickup areas. There is a 20% discount for families with two or more children or for families living close to the school. The transportation fee includes regular morning and afternoon pick up and drop off. It does not include buses for after-school activities. For more information about after-school bus options, please contact Ms. Xiao Lan Gu. Included in the tuition fees. WISS provides balanced and nutritious snacks and buffet-style lunches for our students every day. Students can choose from a variety of options including international, Asian, vegetarian, hot potato station, sandwich station, and a salad bar. Every PN to Grade 10 student receives a 2,000 RMB WISS Shop Subsidy (1,000 RMB per semester, available after tuition fees have been paid), which can be used to buy uniforms, team sports gear and some other uniform-related items. This amount cannot be refunded, paid out in cash, and is otherwise non-transferable. For help with uniforms, please contact Ms. Ana Hu.